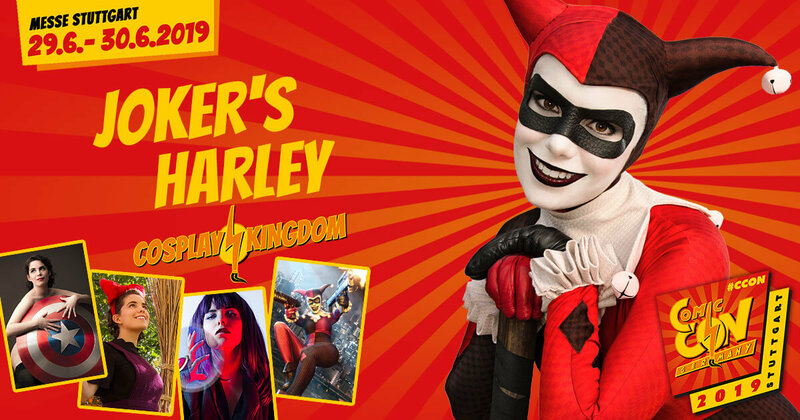 Alyssa King, also known as Joker’s Harley, is excited to return for her third year to Comic Com Germany. She is a New York City based artist and cosplayer. In 2013 she debuted her now famous Harley Quinn costume at Wonder Con in Anaheim, California, and has continued to create a variety of creative cosplays for the character. Alyssa has also been seen as Kiki (Kiki’s Delivery Service), Raven (Teen Titans) and Mello (Deathnote). She is an outspoken supporter of the “every-BODY-can-cosplay” sentiment, having hosted panels at several conventions discussing the issue, and encourages an atmosphere of love and support within the cosplay community.